* Spoiler: It would cost you $190.55 to order each of these products individually when you can get the entire box of keto snacks for only $34! 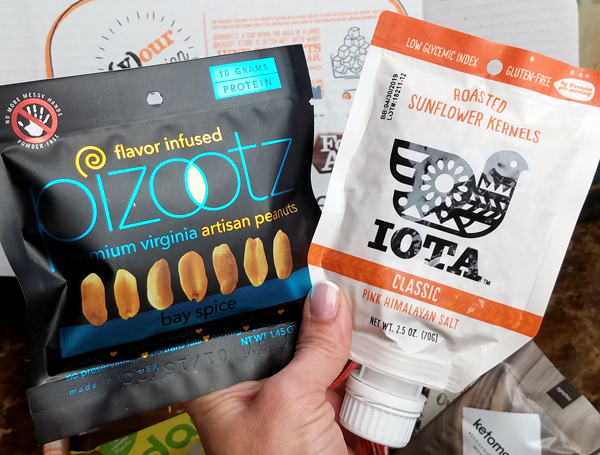 Whether you’re interested in subscribing to the monthly Keto Krate box or not, these monthly value breakdowns are a great way to discover new keto snacks you might want to try. 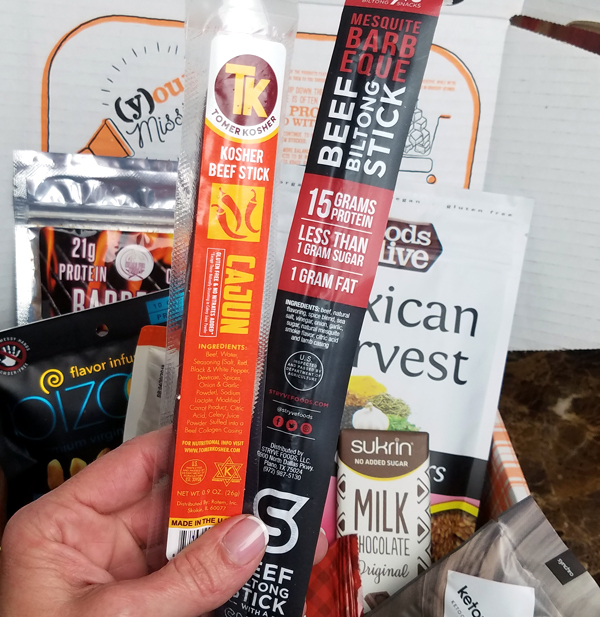 This month’s box is a FULL one – with 13 keto products! Right now you can get 15% off THIS Keto Krate box with the code TRAVELINGLOWCARB15, making this box only $34 (with free shipping). Here are examples from the December Krate and November Krate. Those boxes are no longer available, but the keto products are – and I always give you the best/cheapest places to order them. Those posts plus this one will also give you a better overview of what to expect from Keto Krate each month. 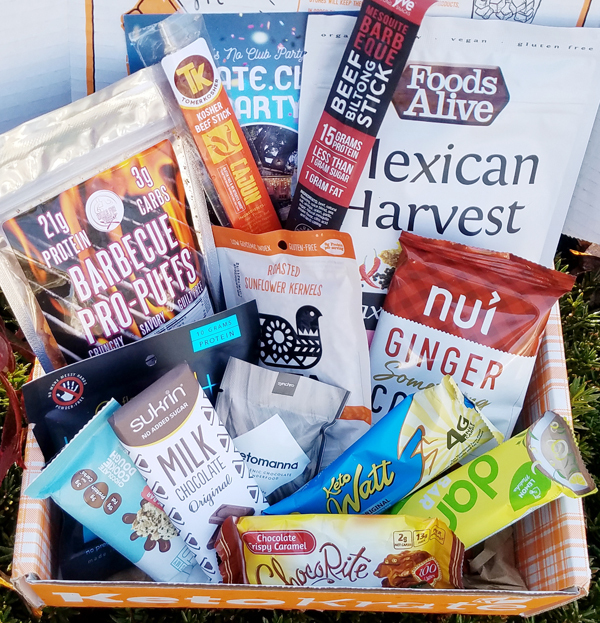 Keto Krate is a monthly delivery service where you get a box full of different keto snacks to try every single month. It is always Gluten Free, all products are 5 net carbs or less (usually way less), no malitol – ever, and they are very soy conscious. It’s a FUN way to try a variety of high quality keto products at WAY less than it would cost you to order them individually yourself. The box of 16 packages is $28.26 & Free Shipping on Amazon. The same box is 19.99 + $6 flat rate shipping = $25.99 on the Chocorite website. If you’re placing an order from Netrition anyway that’s the best deal, as the flat rate shipping will cover your whole order – or they have FREE shipping on $99+ orders. You can get a box of 12 bars, 4 of each of their 3 flavors, for 39.99 + Free Shipping on Amazon. You can get a box of 12 bars all one flavor OR a variety box for $39.99 on Netrition (plus their $6 flat rate shipping, or FREE shipping on larger orders). 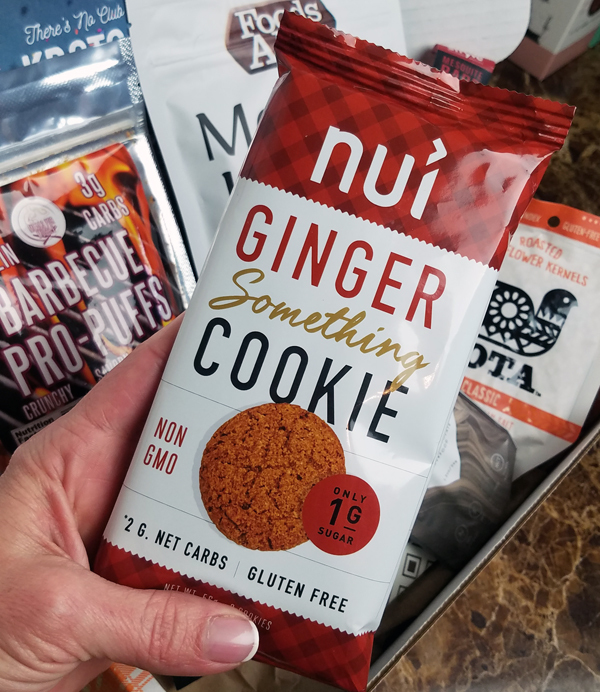 You can get these at a variety of specialty stores, including Whole Foods. See their Store Locator here. On their website you can get a case of 6 for $23.34 + $10 shipping = $33.34 total. They do offer free shipping on orders over $70. You can only get the 1.45 Ounce in a pack of 18 on Amazon, but they’re currently out of stock. You can get the 5.75 Ounce bag for $7.99 + free shipping and they have a great variety pack on Amazon with 9 different flavors (2 of each, 18 bags) for $37.95 + free shipping if you want to try several of their flavors. On their website you can only get a 16oz bag for 19.95 + free shipping. So Amazon’s 5.75 ounce bag is the cheapest option. I have a coupon code for NUI Cookies. They come in a 4-pack of 8 cookies for $14.95 ($13.46 using my coupon code) + $5.95 shipping, for a total of $19.41. The coupon code is LOWCARBTRAVELER. But you can get the same 4 Pack (8 cookies) on Amazon for only $18.23 + free shipping – which is slightly cheaper. You can pick these up at Kroger and several stores offline. The 4oz bag is $6.99 + $7.10 shipping ($14.09 total) on their website. 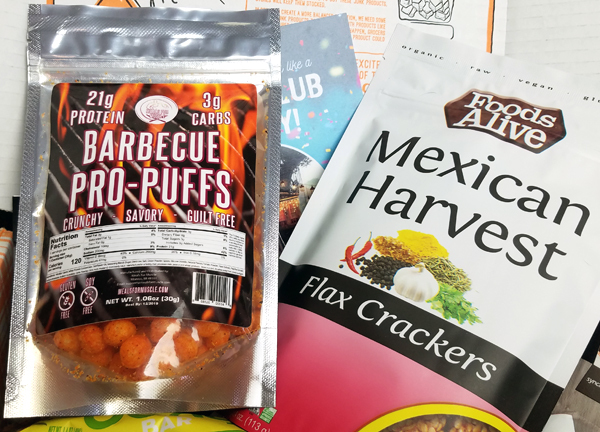 You can signup for their email newsletter to get a one-time 20% off discount, making the total $12.69 with the $1.40 discount for one bag. You can get single bags on Amazon as low as $7.41 + free shipping, which is the cheaper way to go. You can also get a variety pack with 6 flavors on Amazon for $35.94 + free shipping too. These are $3.99 + $4.50 shipping ($8.49) on their website but you can get 20% off if you sign up for their email newsletter – making them $7.69 total with shipping after the 80 cent discount. Amazon only has 2 flavors, but they’re only $4.99 + free shipping for Honey Sriracha or Tomato Basil, so that’s definitely a better deal if you want to try those flavors instead. You can get these on Amazon in a box of 10 Packets for $25.07 + free shipping. 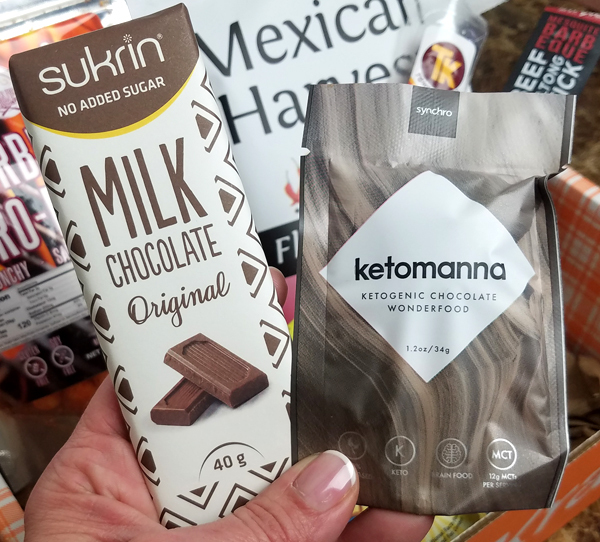 You can get these on the Sukrin website for $2.99 + $7.25 shipping for a total of $10.24 for a single bar. You can get them on Netrition for only $2.69 each. They only have the Milk Chocolate Coconut (not the original) on Amazon and you have to buy a box of 20 bars for $57.50 with free shipping there. Netrition is defintiely the cheapest option for this product, which I’ve heard is DELICIOUS. Have you tried it yet?? You can get these at some local stores like Kroger, Wal-Mart, Vitamin Shoppe, etc. On their website you can get 2 sticks for $3.98 + $5.95 flat rate shipping = $9.93 total. Amazon has a larger bag of 16 servings for $23.99 & free shipping but the 2-stick pack on their website is the cheapest way to try them first. You can get these on Amazon in a box of 10 for $13.99 + free shipping . It’s the same price on their website, but you can get $5 off your first order by signing up for their email list – making it only $8.99 if the $5 off works. On Amazon you’d have to buy a box of 12 bars for $24.99 + free shipping. You can order a single bar on Netrition for $2.49 or a box of 12 for $26.99 (+ flat rate shipping). They have a variety box of different flavors on both Amazon and their website for the same price, or you could buy one of each of the 3 flavors for $2.49 each on Netrition if you wanted to try them all first. 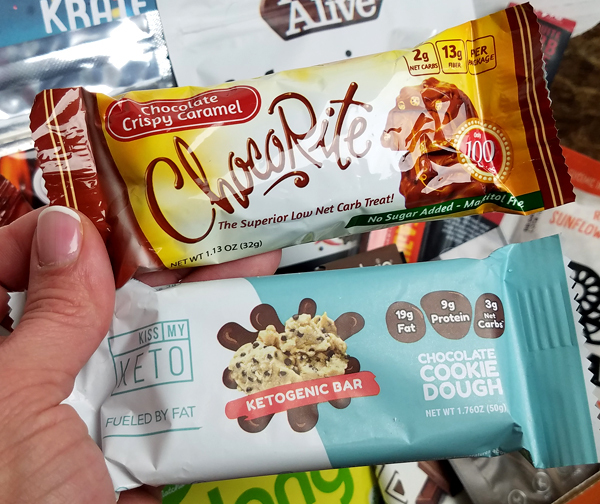 Keto Krate always includes fun, creative low carb recipes for at least one of the products in each box – plus coupons & discount codes too. 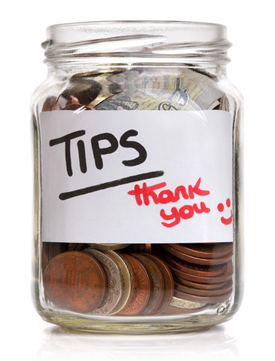 You have to order most of the items in bulk or by the box instead of individually, and from a variety of websites. Using the cheapest options (not necessarily the best value), it would cost you $190.55 to purchase these products on your own. That makes the Keto Krate a GREAT value at only $39.99 + Free Shipping! You can cancel anytime, or even order individual Krates on their website now too. They also include coupons & discount codes in every box, increasing the value even more. It’s NICE to be able to try individual products at such a great price! Always Low Carb: All snacks in Keto Krate have less than 5g of carbs per serving. Often much less. 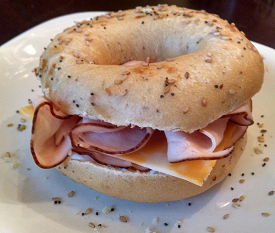 Gluten Free Guaranteed – Always! No Contract / Money-Back Guarantee: You can cancel at anytime, there’s no long term contract. And your satisfaction is guaranteed! 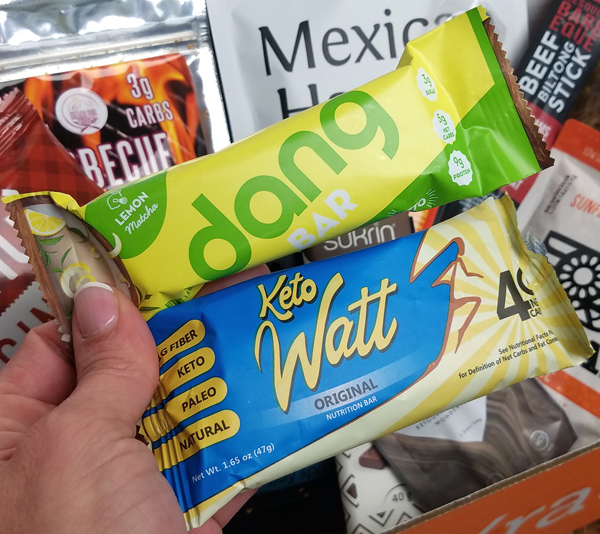 You get something different in your Keto Krate every single month, so it’s a great way to discover interesting new low carb products you may fall in love with. What better way to reward yourself, and keep keto FUN?! Are you already a fan? If so, what did you try out of this box so far? You can cancel anytime, by the way – you don’t have to commit to a contract. 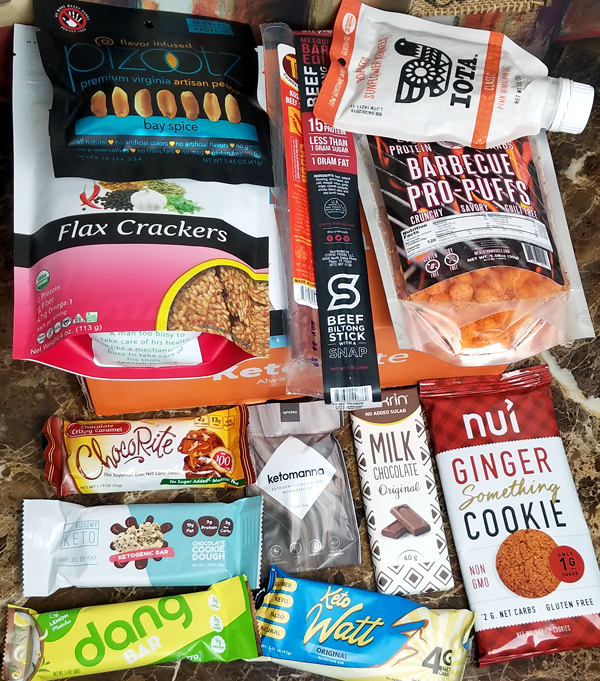 I would love to hear what YOU tried from this box so far, what you loved and what you didn’t, or what you would like to try from the list above if you don’t subscribe to Keto Krate’s monthly delivery service. … or any questions/comments you have! 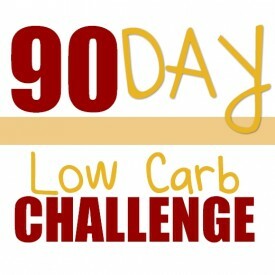 This entry was posted in Low Carb Foods and tagged ketokrate, reviews. Bookmark the permalink. So I appreciate your feedback! I just tried the Mexican Harvest Flax Crackers and they were surprisingly good. I’ve heard other people say that savory flavor, the Mexican Harvest, was really good. The flavor I had this week was Onion & Garlic (from a past box) and it was great too. Good flavor! The choco rite bars are awesome. I get mine at Shnucks grocery store. Glad to hear you can find them offline too! I have not tried any of the products from my Keto Krate this month, but I never eat meat sticks. My husband will eat any dried meat product given to him so I always give those keto krate items to him. He tried both beef sticks in this month’s krate and thought they were so awful he fed them to the dogs. He said one of them was “mushy.” I am looking forward to trying the other items though! I don’t care for meat sticks either, except I do like the Tomer Kosher regular flavor (I don’t do spicy foods), and I did like NIck’s Sticks – that one was good. My all time favorite though is Roam Sticks Pineapple Pork sticks. Those are AMAZING. 🙂 But as a general rule I don’t really like meat sticks and give most of those to my son. Just a preference, like you! Sadly for the second month in a row our Krate is delayed! It now may make it here by Thursday 01/24 after “shipping” on 01/03. They are switching us to USPS for the shipping as UPS Mail innovations has been horrible. All the blame is on them as they basically lost the package two months in a row. We got it two days ago Thankfully! These are the only problems shipping we have except that whole “Amazon Prime” disaster crap. I place all of the blame on UPS Mail innovations and not Keto Krate. They are changing us to USPS outright if not everyone. The ChocoRite bar was one of the BEST things i have ever eaten! I’ve had them before – they’re amazing! Definitely rank as one of the TOP low carb chocolate / candy bars in my book for both taste AND texture. 🙂 Yum!